Andy's Workshop - Frontierville Express - More Than Just A News Site: Do You Have A Receipt? Let's be honest, sometimes we get given things that are... just not us. Argyll socks. A home knitted jumper with something on the front that could either be a rearing horse, a velociraptor or a cast member of Saw V. The Greatest Hits of Barry Manilow played on nose flute and bagpipe. We smile, we nod and then we send a neutral family member on a mission to secretly find out where they bought it so we can trade it off in the morning. Well, that's what were finding a lot in the game right now, up to date players who try to help neighbours who are struggling end up with items they don't need, Players who are struggling or trying to complete old missions find themselves getting gifts they can't use until some time in the future. Here's some Lavender, batteries not included and the stores don't open for a week. Yes, Jacques, dear Jacques. Trading post manager, priest and all round pain in the posterior. Here's the premise, we get a mission thread, could be to do with gifting and trading, might not be but it does involve Jacques. At the end of that, just as recent mission threads have given us Hank, Ted and Doc having actions, this one will use and abuse Jacques and his trading post. Once the missions are complete, he gains a new menu item "Gift Exchange". This takes you to his gift exchange screen where the magic happens. With the first option selected, every gift you receive and send back to neighbours works as normal. If a neighbour sends you Baby Carrots and you click to receive and send it back, you get Baby Carrots, and they get Baby Carrots. But, what if you DON'T want them? Well, then you pick one of the other options on the gift exchange screen. Options that are picked by the game looking through your open missions and seeing what you need. So if you've got a muddy animal on your stead, it'll show Lavender if you've got the recent Companions build stage open that requires a drop from Yellow Essence Labs, they'll be there too. 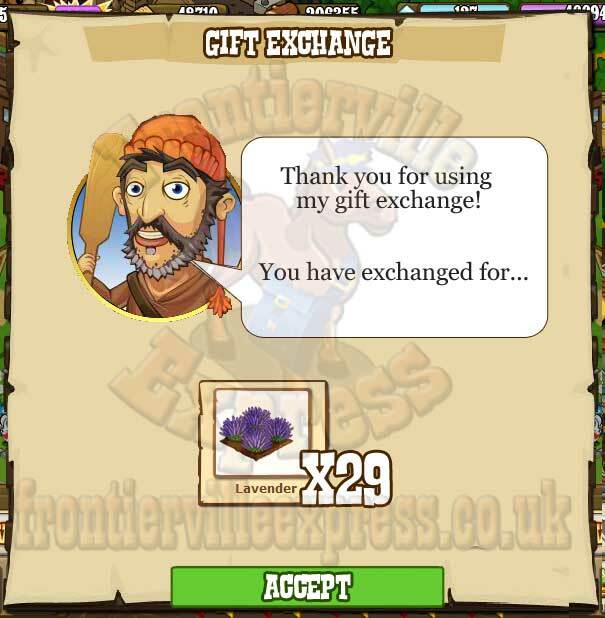 So, say you want that elusive Lavender you simply tick that option and go collect your gifts from the envelope as usual, everything your neighbours have sent, you send back one of those, as normal. BUT, then, when you close the envelope, up pops Jacques to tell you everything you accepted has now been exchanged for Lavender! 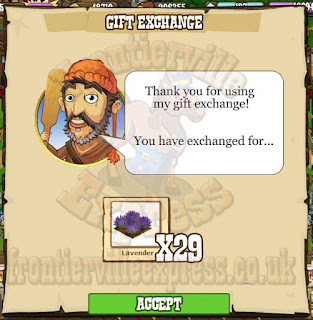 So your neighbours get what they want, you get what you want, Zynga get the same amount of social clicks on gifting, everyone goes home happy! 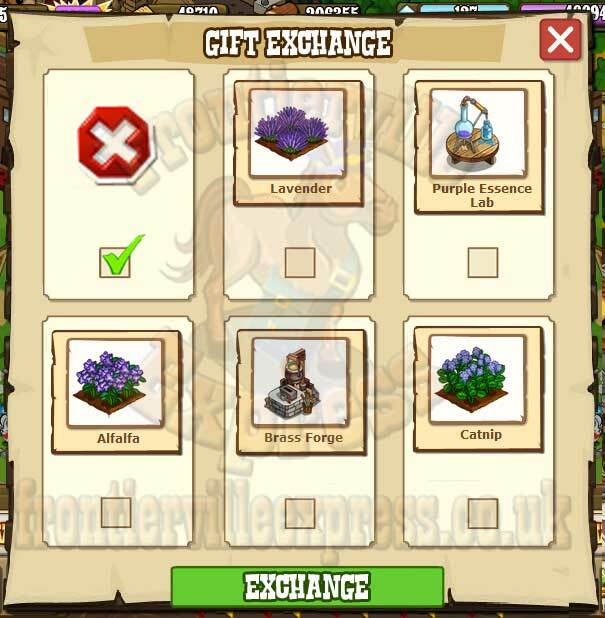 And because you can switch the system on and off at will as many times as you want if there's stuff in your envelope you DO want, you can set it to Off, and you can even change it during collecting so half your gifts could be Lavender and half could be something else. if only your imagination could be turned into a reality! Love it! 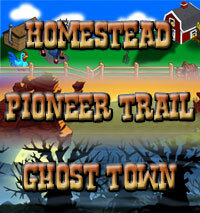 Hope Zynga picks this up. It's a super concept. Absolutely an amazing, wonderful, fantastic, terrific, awesome, fabulous (well you get the idea) idea. Sure hope Zynga realizes this and puts it into action. Maybe I could finally get out of the hole in the missions department! Keep that intriguing mind of yours working for new ideas. AWESOME! KUDOS AS ALWAYS ANDY. well while that's a good but confusing idea, you know as well as I do, A lot of people are not going to take likely to this idea...I for one help my friends that are working on old missions,when I'm out of clicks how simple is this concept!!! the problem is no one wants to help unless they are getting something for themselves.. and this folks is what we call selfish!!! I guess, you would say this is human nature but screw that. it's pathetic is what I call it. so that's my opinion on this matter And Andy Im not putting down your idea, but in a way your just saying it's ok to be selfish!! (just my opinion) have a great day! Sue, your neighbour still gets what THEY need, you just get something different. I LOVE the idea Andy! I always help my friends working on old stuff after my clicks are gone but it would be so awesome to be able to help and get things that we need instead! I so LOVE your imagination!!!!!!! Keep it up, if nothing else it is good reading! I get so tired of trying to be first to send my stuff in the hopes that I can get what I need back. 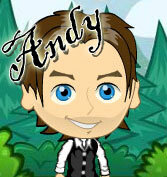 We should all be able to help each other and your way would work Andy! Love it, love it, love it. Hope Zynga is reading along with us.